When a person has a beautiful yard, they want to make sure to prevent it from simply washing away. In order to do this, you need to make sure that you’ve got erosion under control. For the best erosion control in Tuttle, Oklahoma, contact Bill’s Custom Concrete. 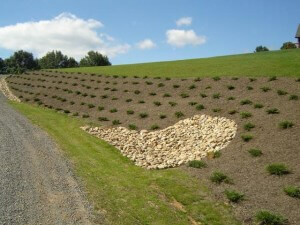 Erosion control is the different techniques for preventing yards, farms, creek banks, and all types of soil from wearing and washing away. When soil begins to wash away, it can be difficult for plants to get the nutrients they need to stay healthy. 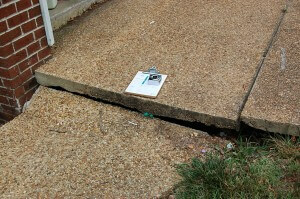 And if erosion occurs near your home, it can begin to cause problems in the foundation. Therefore if you see erosion happening in your yard, it is vital to pursue erosion control in Tuttle as soon as possible. Bill Custom Concrete has the experts needed for professional erosion control in Tuttle, Oklahoma. We will come out and give you a free consultation and a free estimate, discussing all your choices to find the right solution for your yard and your pocketbook. We take great pride in providing the best water drainage solutions in the business. 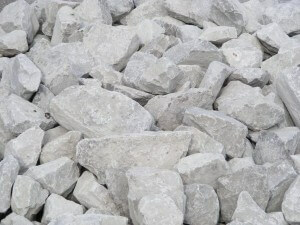 We will make that your erosion problems are a thing of the past, protecting your home and your yard from major problems. To find out how we can help with your erosion control in Tuttle, Oklahoma, contact us today at (405)755-3975. You can also contact us via our Contact Page Here.